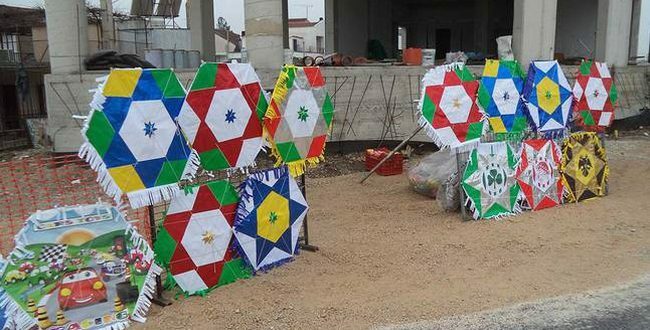 Police in Agrinio arrested a street vendor on Monday for selling kites without a relevant license. The man faces a heavy fine for having set up his provisional make-shift stand to sell kites traditionally sold only once a year, from early morning on Clean Monday until early afternoon. The 50-year-old man was spotted by police officers to sell Clean Monday kites at a central spot of the city in West Greece. A control check revealed that the vendor had not obtained the necessary license by local authorities. Police prepared a case against him, the file was submitted to the Prosecutor’s office in Agrinio. I am sure police also found out that the vendor did not have a professional bank account, did not issue receipts and also had no POS device for customers wanting to pay with a credit or debit card. Certainly, police found also that the man was also the one who bankrupted Greece and caused the big economic crisis. I have no idea bout the fees to obtain such a license, but under certain circumstances would be as high as the profits from selling kites on that specific day.